Thank you to all the adventurous volunteers helping Karen people! 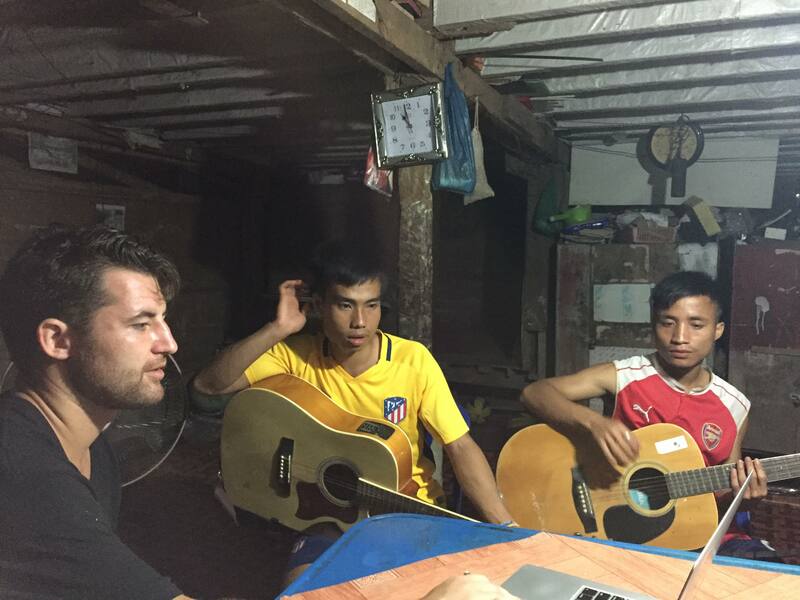 January – Seven volunteers taught English at Mae Ra Moe to start the year with a huge bang! Kiri and Troy had an amazing adventure teaching at High School Number Three. Kate and Allie K. delighted students at High Two. Rob Dugan taught English at High One. And Steph, and Allie M. taught English and Drama at MRM Jr. College. February – Five volunteers taught at post-10 schools in camp. Danielle Chery from USA and Sanam Chopra from Canada volunteered at PDC School. Bylli Gomez from the UK and David Cameron from New Zealand also taught at PDC. Jessica Hamilton, also from from New Zealand, taught at Mae Ra Moe Jr. College. April – Schools out for the summer – hot season! June – Schools open again! Twelve (yes 12!) volunteers will teach at Mae Ra Moe in June. June 10: Alex, Tricia, and Kerry from the U.K., Stephanie W., Nate, Yehno, and Ashleigh from the USA. Stephanie is a returning volunteer teacher! June and July volunteers from all corners of the planet! July 8: Van from Thailand will teach Thai language. Ary from Romania, Ruby from UK and Caitlin from Australia will all teach English. July 19: Jeanine from Holland, Dinah from the UK. August 8: Siggie from Denmark, Cecelia from the USA and Deeksha from India. August 25: John from Colorado and Claire from Indiana also in the USA. Sept. 13: Brendan and Chanse from Vancouver, Canada and Lydia from China. Oct. 14 – Sam from New Zealand, Irene from Spain and Wieske from Holland. Oct. 20 – Barbara from Spain, and Dorothy and Bonnie from USA. Nov. 17 – Kyra and Josh from USA and Nahomi also from the USA. 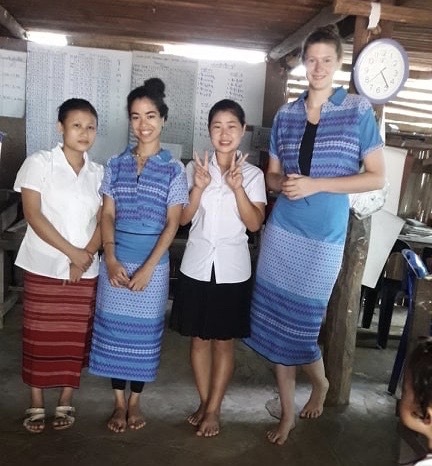 They had a wonderful experience teaching Karen people! WHEN CAMP PERMITS ARE POSSIBLE – WE HOPE IN THE FUTURE! 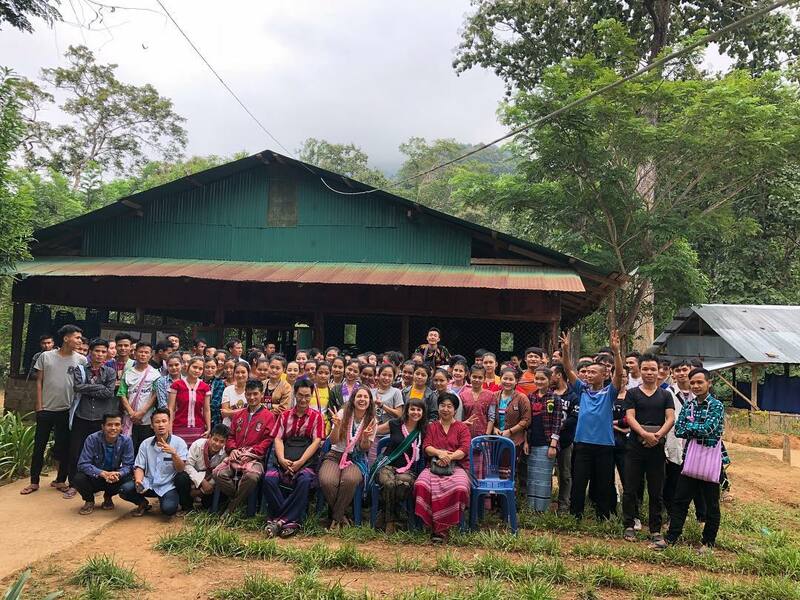 If you know an adventurous traveler who might like to volunteer to teach English at the Mae Ra Moe refugee camp on the Thai/Burma border, please invite them to review our Workaway Profile and our Volunteer Q&A and then contact us directly. See our five star volunteer feedback on Workaway.